Near Field Communications or NFC is a new feature that many of us already use in other areas, like contactless payment cards, but which is now making its mark in modern digital cameras. NFC is a way of making electronic devices aware of each other’s presence when they are placed close to each other. For cameras, it’s primarily a convenient way of making your smart device, like an NFC-enabled smartphone or tablet, connect wirelessly with your camera so the camera and smart device can communicate with each other. There is a popular notion that you need to touch your two NFC devices together in order to enable the connection, but NFC is actually designed to work through proximity sensing alone. The idea behind NFC has been around since the 1990s, but was formally standardised in 2004 by the NFC Forum independent industry body. NFC is used in the shipping and transportation of goods, security systems and payment cards, including the latest credit and debit cards, and travel cards like Transport for London’s Oyster Card. Many new smartphones incorporate NFC, although it is still regarded as an upmarket feature. So how does NFC work? Using the example of a digital camera and a smartphone, both must be equipped with NFC sensors and you need to know where the NFC sensor is on the camera. The camera must be switched on and the appropriate camera control app enabled and running on the phone. Place the phone as close as necessary to the camera’s NFC sensor and with luck the two devices will recognise each other and automatically negotiate a Wi-Fi or Bluetooth communications connection. After that your app can let your phone provide a remote live view of what the camera is seeing and/or you can change various camera settings and of course remotely take a picture and transfer images, all depending on the app’s capabilities. Without NFC establishing the connection it’s a messy business involving copying and entering fiddly pass codes or photographing QR codes. 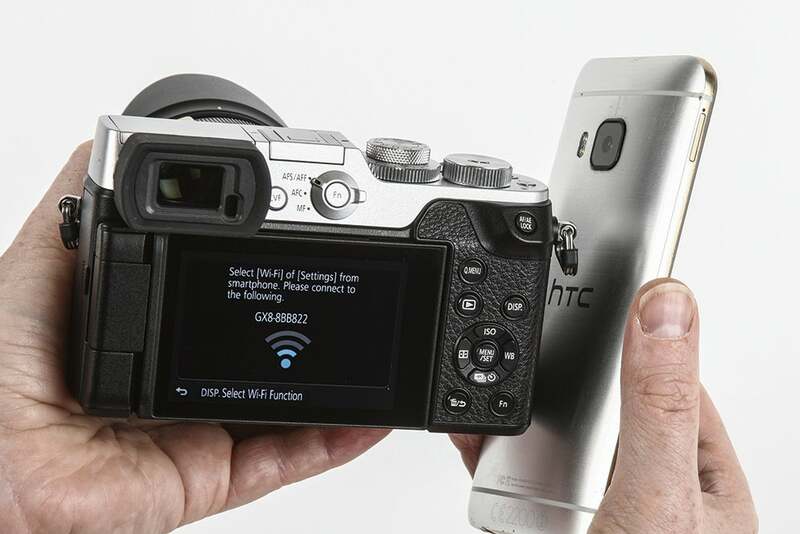 So if you value the simplicity and reliability of a quick and easy wireless connection between your camera and smartphone, NFC is your friend – but only if your camera, smart device and the device app are all NFC-compatible.